The ownership of the stone has caused a lot of controversy over the years. Many Egyptians feel that the stone belongs to their country, and should be held in a museum on Egyptian soil. 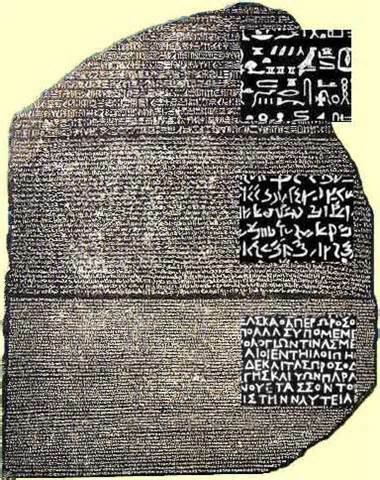 How was the Rosetta Stone created? 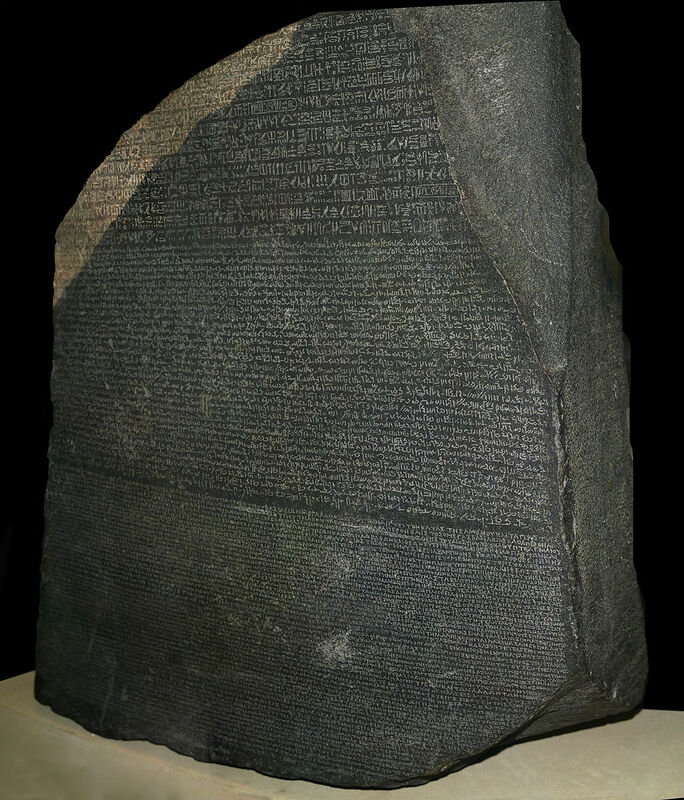 The Rosetta Stone was created in 196 BCE for Ptolemy V, the king of Egypt at the time. It is a black basalt slab with an inscription, also known as a stela. It measures about four feet by two and a half feet and it was originally a part of a bigger slab that was located in a temple at Sias, about 35 miles north of Alexandria. The stela presents a decree issued in Egypt that praises Ptolemy V for his achievements and states that a statue will be set up in his honour. The text further decrees that the king’s birthday and coronation date be celebrated with festivals and sacrifices. The Rosetta Stone was a landmark in understanding Egyptian culture. It was written in two languages, Greek and Egyptian, and three scripts (a script is a writing style using a particular alphabet). The scripts included Greek, Egyptian hieroglyphics and Egyptian demotic. In antiquity, all Egyptians used one language to communicate; however, priests and many elites used hieroglyphics and the common people of Egypt used demotic as their form of writing. For years, archaeologists were unable to decode the writing of Egyptian hieroglyphics, but the Rosetta Stone gave them the answers they were looking for. The same passage was inscribed on the stone three times, in three different scripts. This allowed English scientist Thomas Young and French scholar Jean-François Champollion to decode the Egyptian hieroglyphic script. Thomas Young started the process by decoding a few symbols, but Jean-François Champollion is credited with deciphering the majority of the Egyptian hieroglyphic alphabet using his knowledge of the ancient Greek language. At last, the culture of the Egyptians could be understood in its full context and the inscriptions on tombs, pyramids, and other structures could be read. This was a significant moment, not only for scholars, but the Egyptians as well. It allowed them to further understand their past and read the inscriptions of their late kings and queens. In the end, you could say that Pierre Bouchard, the French soldier who uncovered the Rosetta Stone, was just as lucky as Indy. Written by Monique Gill for Adventures in Pop Culture Archaeology taught by Dr. Lisa Hodgetts, Western University.